Welcome home to the Villas at Maple Creek located in Westerville, Ohio! Are you looking for a private 55 and older community to call home? Look no further! The Villas at Maple Creek are sure to not disappoint! Additionally, The Villas at Maple Creek are equipped with a beautiful pool, clubhouse and fitness center that is available to all residences. Also, the Villas at Maple Creek have 2 ponds and water fountains, providing a scenic view. The Villas at Maple Creek were built from 2003-2005. Additionally, these spacious homes come in square footage ranging from 1324 to 1926. Units come with options of 1 to 3 bedrooms and 2 to 2.5 bathrooms. Also, each unit is a ranch style with an attached garage. The Villas at Maples Creek HOA is very affordable and includes exterior maintenance for each unit. These units do sell fast! What a great location! Enjoy the privacy of a tucked away location, while being very close to an abundance of entertainment, shopping, and restaurants! The Villas at Maple Creek are located right off of Polaris Parkway and are minutes from Interstate 75. Enjoy the popular shopping centers of Polaris Fashion Place and the Polaris Town Center! Also, residences enjoy the convenience of being minutes from many groceries stores such as Costco, Kroger, and Giant Eagle. Residences can also enjoy the close by Heritage Park and Hoff Woods Park! 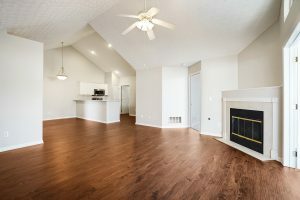 Contact our My Columbus Condo Team today to get more information on Pricing and a Private Tour!